At Boswedden House, we have paid extra attention to detail to ensure your stay is all that you hope it will be and much more. 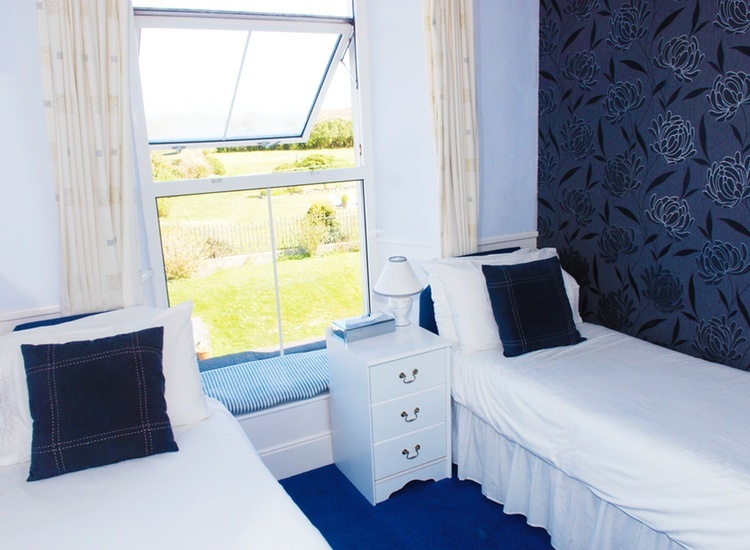 Argueably no place is more important during your stay than your room and that’s why all our rooms have been furnished with your comfort in mind with pleasant and contemporary soft furnishing and decor, and all have either views on the garden or out towards the sea. Throughout, the house and the rooms have a tasteful blend of old and contemporary touches, with central heating to keep you warm and comfortable. 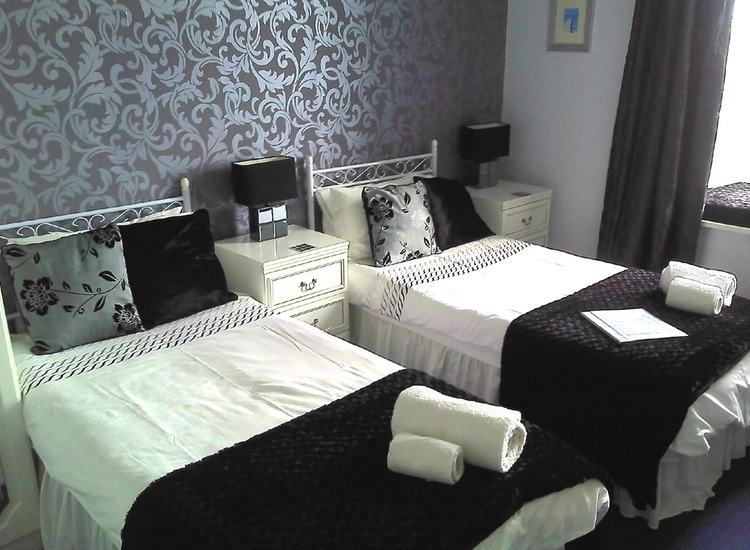 All our eight rooms are ensuite, with some of the larger double rooms with baths and others showers. 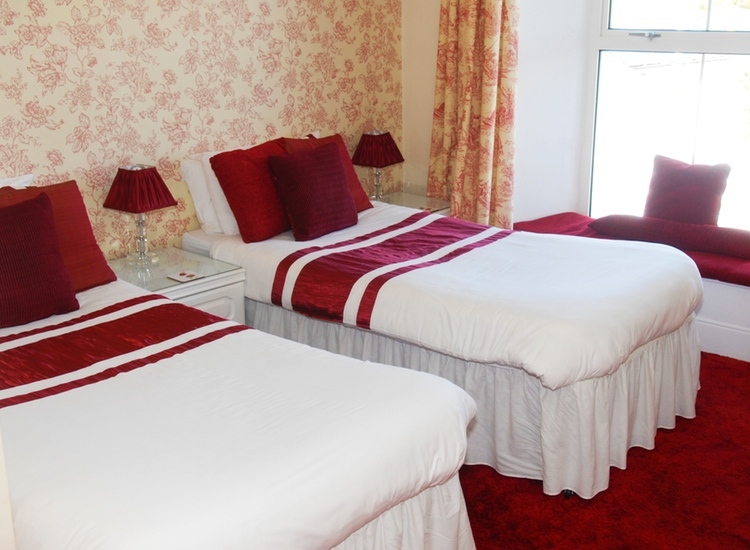 Toiletries, towels and a hospitality tray are provided for your comfort. A beautifully light room with dual aspect and views to the sea, and across the garden and fields. This room can be made as a kingsize double or as a twin. There is a desk with a mirror. A comfortable window seat from which to watch the sea and Tea and Coffee facilities. This room has an en-suite bathroom with shower. 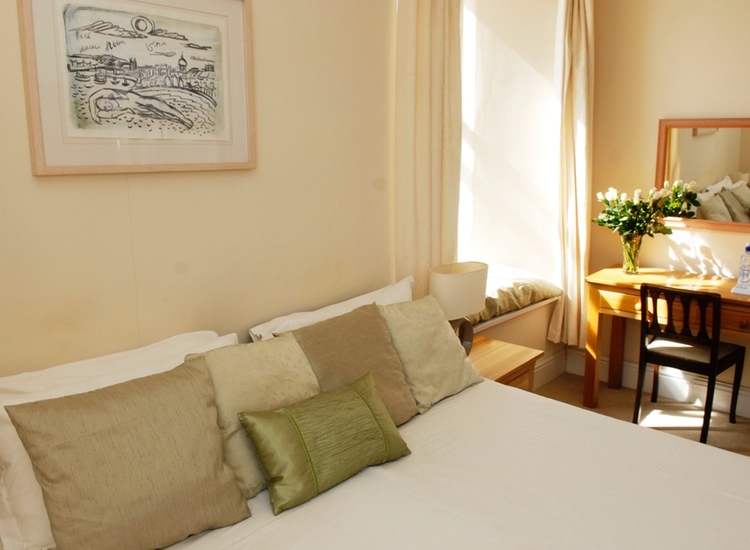 Soft white Linen Towels are provide and eco essential toiletries. A hair dryer is provided and an ironing board is available on request. A beautifully light room with partial views to the sea ,and across the garden and fields. This room can be made as a kingsize double or as a twin. 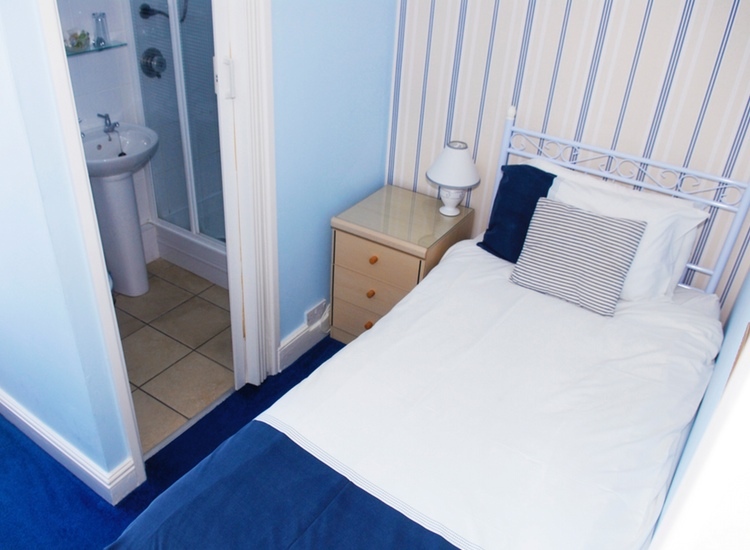 This room has an en-suite bathroom with a bath with a shower over. 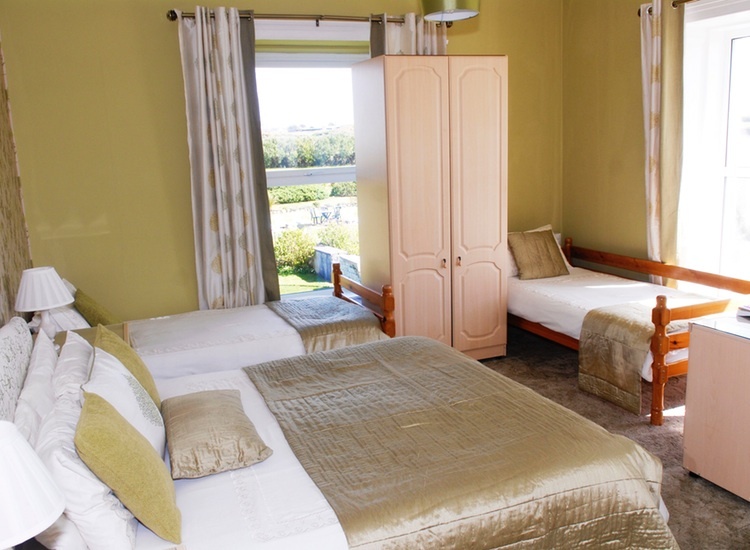 A single room with view across the roof top to the golf course and the sea beyond. Decorated in blue and cream and crisp white this room has a nautical feel. There is a window seat from which to enjoy the view and a small desk with a mirror and Tea and Coffee making facilities. This room has an en-suite shower room. A warm and cosy room that gives views across the garden and fields. This room can be made up as a kingsize double or as a twin. Spacious bedside tables with draws for storing holiday essentials. There is a desk with a mirror and Tea and Coffee making facilities and a cosy window seat to sit and enjoy the garden from. This room has an en-suite bathroom with a bath and shower over. 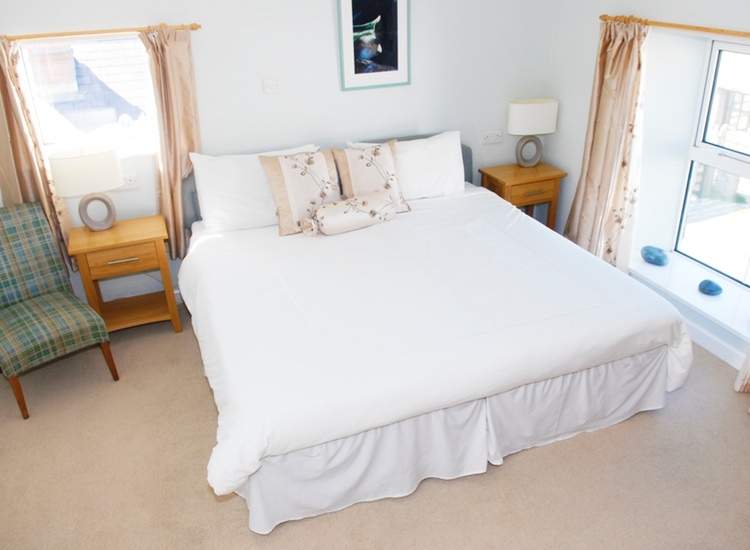 A light and airy twin bedded room with views across the garden and fields. There is a desk with a mirror and Tea and Coffee making facilities and a window seat. This room has an enuite shower room. A beautifully light room that gives views across the garden and fields. Decorated in a soft green with gold this room is soothing and tranquil with lovely views across the garden. This room can be made up as a small double or as a twin. There is a desk with a mirror and Tea and Coffee making facilities and a cosy window seat to sit and enjoy the garden from. This room has an enuite shower room. This room has an enuite bathroom with a bath and shower over the bath. A quiet room slightly away from other rooms. 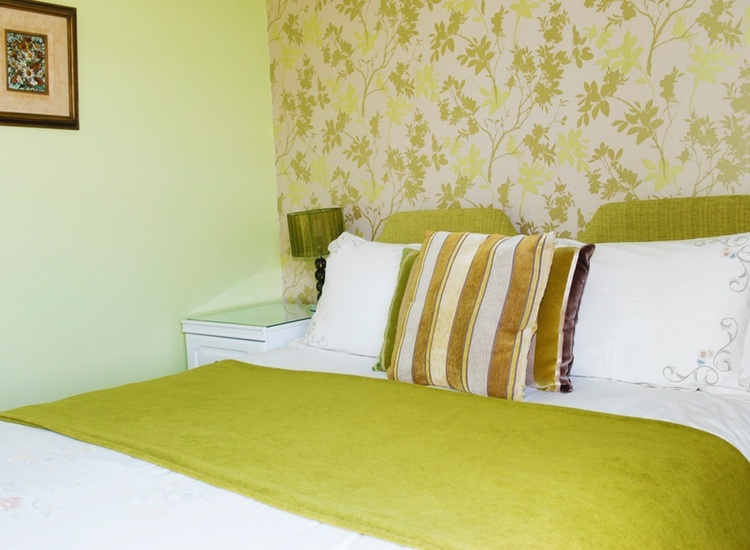 This room is decorated in soft greens and beige. The room views across the roof top to the sea . This room can be made as a kingsize double or as a twin.